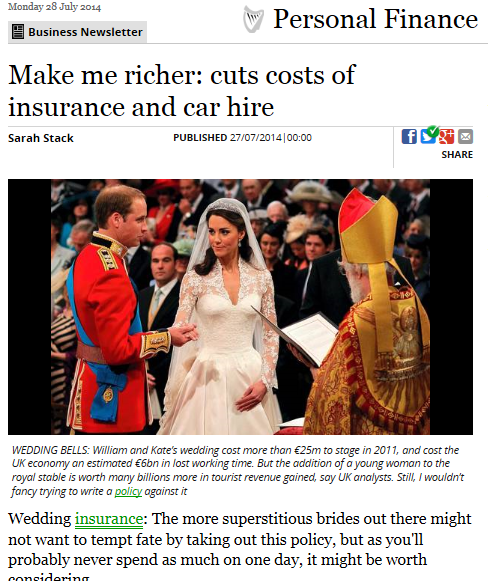 Yesterday's personal finance column in the Sunday Independent had a feature entitled "Make me richer, cuts costs of insurance and car hire"
Starting off was wedding insurance under a picture of William and Kate’s wedding that cost more than €25m to stage in 2011. The article pointed out that "Most policies cover cancellation in the event of a death/illness of a close relative, or illness of the bride or groom. You may also be protected if any of your pre-booked wedding suppliers, or the hotel, goes bust, or if your bridal attire is damaged. But read the small print, as policies and the amount they cover vary. 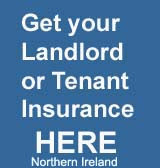 Best €39.99 Weddinginsurance ie "
It went on to include, Buggy insurance, House insurance, car insurance naming those that are best and the ones to avoid.